The Anteater Dragon is a predatory and very nimble dragon. It has a powerful grip and talons sharp as razors. It can move just as quickly whether on the ground or in the water. It is this very ability that gave the Anteater Dragon its reputation as an unrivaled hunter. How to Breed Anteater Dragon? 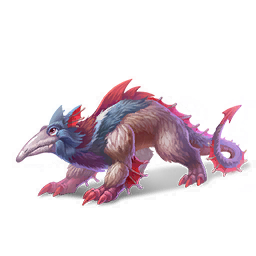 Find out how to breed Anteater dragon with the How to Breed Calculator!